The April flower is Sweet Pea. The fragrant pastel coloured flowers of this climbing garden plant make it popular. The sweet pea appears in a wide range of pastel colours and also blooms in two-tone varieties and symbolizes blissful pleasure, delicate pleasure, departure or good-bye, which explains the message “Thank You For A Lovely Time” attached to the flower. 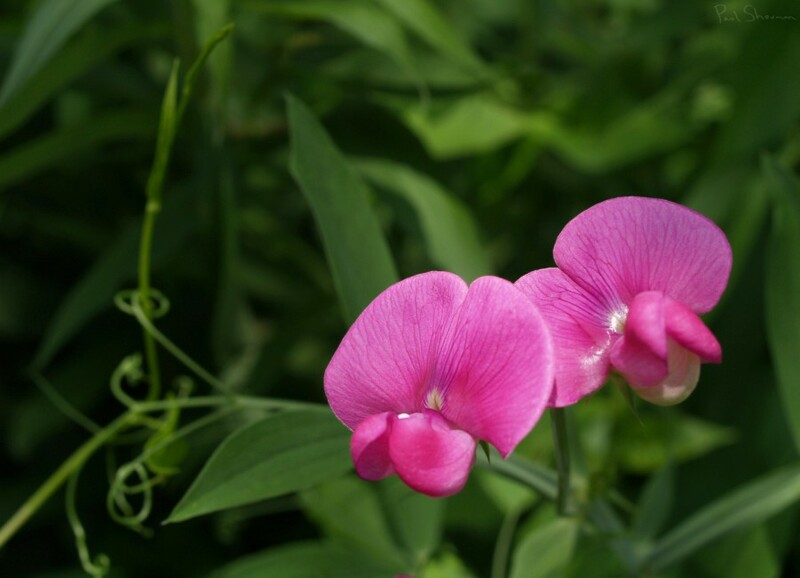 The sweet pea, also known as the “Queen of Annuals,” was first recorded in 1695. At the time, Francisco Cupani, a member of the order of St. Francis, made note of the flower in Sicily. Cupani sent seeds in 1699 to Dr. Casper Commelin who was a botanist at the medical school in Amsterdam. Two years later, Commelin published an article on sweet peas. Another part of the story is that Cupani is believed to have also sent seeds to English teacher Dr. Robert Uvedale who was also an aficionado of new and unusual plants. A herbarium specimen made in 1700 by Dr. Leonard Plukenet notes the plant’s origin as Dr. Uvedale’s garden, which gives validity to the claim of more than one seed mailing. Keats, the poet, apparently first used the name sweet pea and they became so popular in the 1800s that they were the designated floral symbol for Edwardian England. 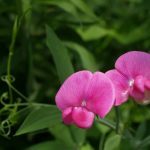 Henry Eckford, a Scottish nurseryman, is credited with cross breeding and developing the sweet pea into the floral sensation of the Victorian era. Prior to that it was considered mostly a rather insignificant flower. Eckford received a First Class Certificate in 1882 for introducing the ‘Bronze Prince’ sweet pea, which is when his association with the flower is said to have started. In 1888 he had sweet pea development and trial fields in place in Shropshire and in 1901 he had introduced a total of 115 out of 264 plants available at the time. Some of Eckford’s best-known varieties include the Dorothy Eckford (pink), Lady Grisel Hamilton (lavender) and the King Edward VII (scarlet). In 1901 another new form of sweet pea was discovered in the Earl of Spencer gardens. They were soon identified as the ‘Spencer’ and were different from other varieties in that they had much larger ruffled upper petals, longer lower petals and blossoms that were much more brighter. These were developed into what eventually became Eckford’s most famous variety of sweet pea, the Countess Spencer. Before his death in 1906, Eckford was presented with the RHS Victoria Medal of Honour for his work with the sweet pea. Sweet peas are available in over 250 different varieties and there is a wide range of pastel and bi-colour choices available. Sweet peas are typically grown in gardens and are a great addition to one as they are easy to grow and look beautiful. As the plant likes to climb, and will grow to a height of about six feet, consideration will be needed as to where to place it in your garden. Otherwise, it blooms annually and has a sweet fragrance.